We all love a bit of indulgence during our holiday, so we thought we’d share five of our favourite cake stops in Lanzarote where you can fix that sweet tooth craving. For tea aficionados like me, you really have to visit this delightful cafe at the back of the marina in Puerto Calero. There’s a great choice of teas available and what’s more, they’re served in china cups! I can’t think of anywhere else that offers this in Lanzarote, and of course because of this, the tea is just the best ever. We normally succumb to scones served with butter, jam and cream with our hot drinks at this café, however their high tea is on my wish list of treats to sample. If you would like high tea, please note that this needs to be ordered in advance. Jonnie bakes is an artisan bakery situated on the main road in the historic old capital of Lanzarote. It can be a really difficult decision which cake to choose at this café as there’s normally a delicious selection on offer, unless it’s market day when the place is heaving! Try ordering a hot chocolate for something different, a glass of hot milk is served accompanied by dishes of chocolate buttons, that you add to create your own blend. Our favourites include their delicious muffins and Danish style pastries or a slice from one of the magnificent cakes on display. This café is on the 17th floor of the Gran Hotel on the beachfront in Arrecife. It’s the highest building in Lanzarote and offers a fabulous panoramic view over the capital. Don’t be afraid of venturing into the capital, the Intercambio bus station is just past the end of Playa Reducto beach, and if driving simply park in the huge underground car park beneath the hotel. Take the lift up to the 17th floor, there is one situated on the outside of the building if you want to enjoy the ride up, as well a ones in the centre of the building. Why not try a different coffee from the standard café con leche, a café carajillo has a shot of the Spanish liquor 43 and is served with a cinnamon stick, or try a café con hielo for coffee poured over ice for a cool caffeine shot on a warm day. It’s not all about the cake with the Star’s City, there is normally a tasty selection available but this cake stop made the list due to it’s location. The French bakery at Marina Lanzarote is delightful and is one of our favourite cake stops. This little waterfront café is really popular with visitors, not only for their range of French patisseries but because it’s great value too. Our favourite here are the typical French pastries, although it can get a bit confusing when you ask for a pain aux raisins, as they’re known as a caracola in Spanish. The coffee is great as they serve Illy, plus a choice of herbal & English teas. 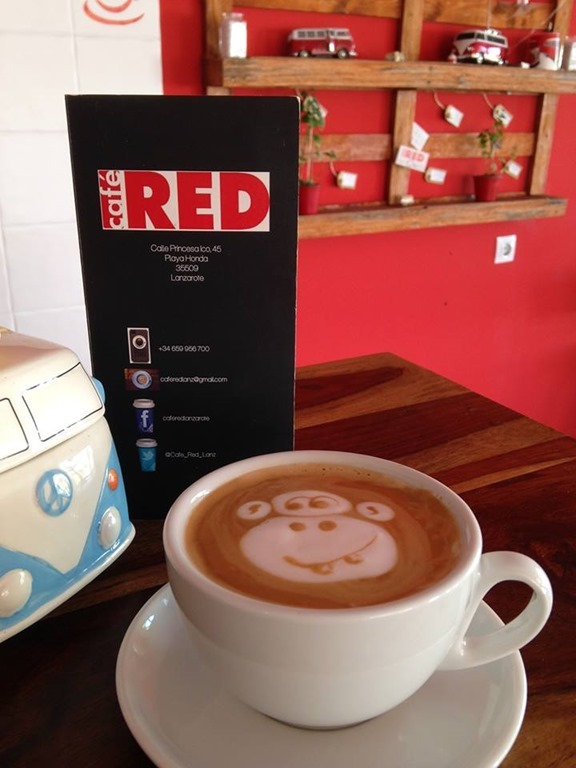 Café Red in Playa Honda is our last nomination for top places to enjoy a coffee break with cake in Lanzarote. This friendly café is popular with Spanish & British residents, situated just down the road from the Deiland Shopping centre. Not only do they collect VW paraphernalia which I love, they have some great coffee art too. Our favourite here is their freshly baked chocolate chip cookies that just melt in the mouth. This cafe also has a herbal tea menu, with plenty of interesting flavours to try. 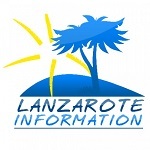 You may have noticed that our suggested cake stops are generally outside of the holiday resorts of Lanzarote. Have you been to Teguise market? Excursion to Teguise market. This beautiful detached Villa is situated at one of the highest points in Oasis de Nazaret and boasts some of the best views in Lanzarote.